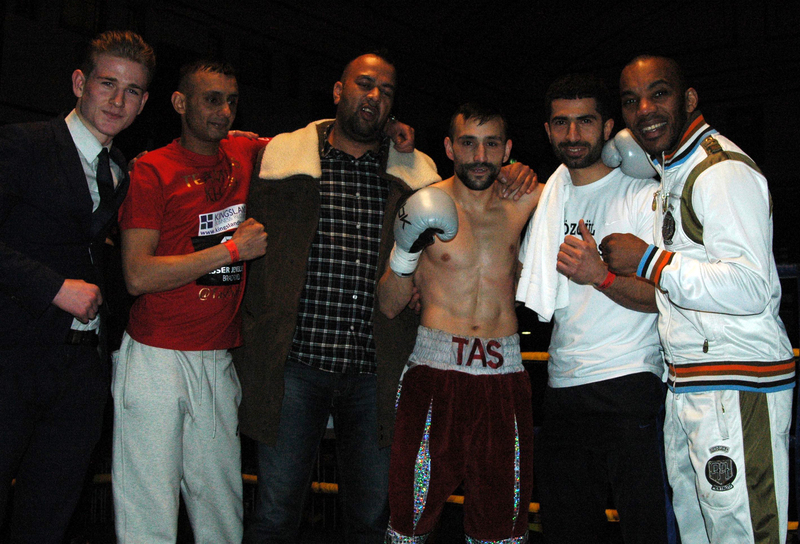 London, England – Sunday, 1st February 2015 - On Friday night, at the York Hall in London, sensational Super Flyweight prospect Tasif Khan made his long awaited return to the ring, following a two year sabbatical from the sport, and boy oh boy did he do it in style. 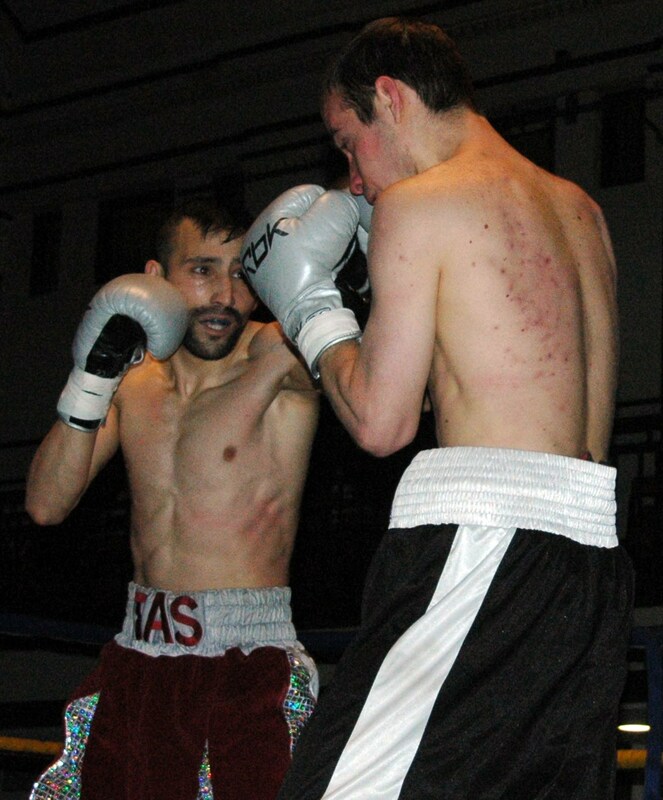 For his first outing, since beating Elemir Rafael in December 2012, Khan faced Richard Voros, a highly experienced boxer and kick-boxer from Hungary, in a four round Super Bantamweight contest. 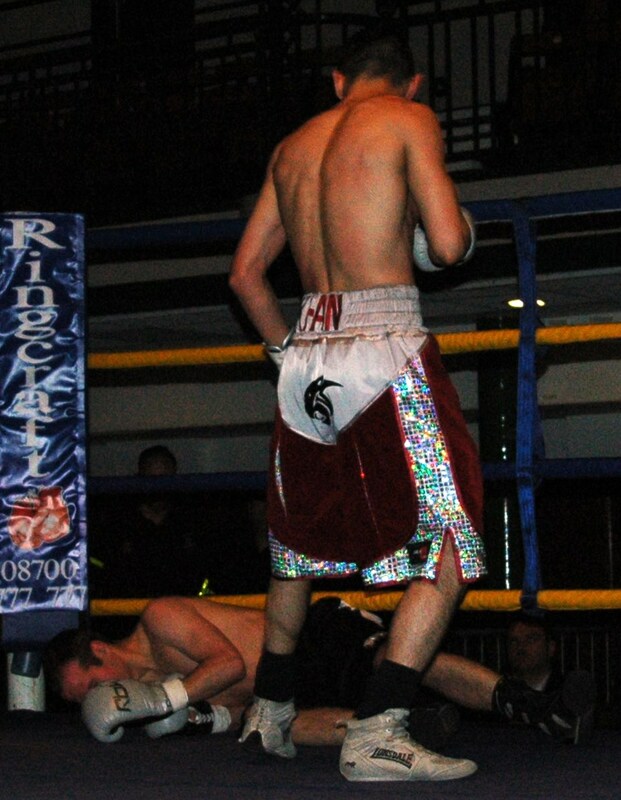 Voros came out hard and fast as soon as the opening bell rang, forcing Khan to cover up, however it didn’t take the Bradford lad more than about ten seconds to wrestle control from the hard charging Hungarian. Khan turned the tables on his more experienced opponent with a good strong jab, before letting rip with a sensationally fast double handed flurry. With Voros now covering up Khan took full advantage to dance around his opponent, picking him off at will with super fast combinations. The power and accuracy of Khan’s clinical shots really paid off and on around the thirty second mark Voros was sent to the canvas for the first time. Right from the restart Khan continued to use his nifty footwork to full advantage, picking off Voros at will, with powerful shots to body and head, before sending the Hungarian to the canvas with a peach of a right hand. Voros just about managed to beat the count, only to succumb to a huge barrage of punches from the Bradford lad, the Hungarian did the only thing he could – cover up – but the amount of vicious shots from Khan and no return from Voros left referee Ken Curtis no option but to step in, to save the Hungarian from an almost certain knockout, on the one minute and five second mark. Speaking shortly after the fight Tasif said. “I’m happy with result and they way the win came about. I felt good, I felt strong, I was relaxed and so pleased to be back fighting again. Had a real good turnout, had brilliant support from my family and friends, so many people travelled down from Bradford to support me. Back to the actual fight, I felt good, I felt sharp, maybe could have been a little heavier and sharper on my shots, but that will come back the more I fight, the next few fights I’ll iron that out. I knew he’d come out fast, I was expecting that to be honest, he’s naturally a bigger fighter, he’s really from a division or two bigger than me, he normally fights at Featherweight or Super Featherweight I think, but I was expecting them to use his size advantage and put the pressure on me. I did expect that but not just how crude he was, he liked to use his head and hold a lot, just trying to make it a messy fight, there the type of fights that it is hard to look good in, but thankfully I caught him with a good shot and picked it up from there – it landed sweet.